Leigha offers many kinds of workshops for teachers and students focusing on different aspects of the Ashtanga Yoga system. Her enthusiam for the practice makes these intensives accessible, interactive and fun. 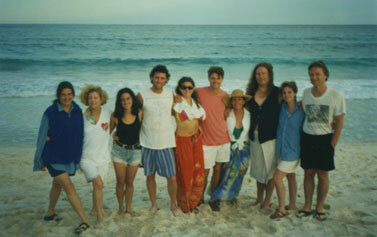 Leigha has also been hosting yoga retreats in beautiful locations in California and Mexico since 1992. These trips offer students an opportunity to study and immerse themselves in their yoga practices without the distractions of daily life. The beauty and wonder of nature as well as connecting with other yogis enhances these wonderful adventures. Click here for a Schedule of Workshops and Retreats.